Syrian civil war. Source: Wikimedia Commons. 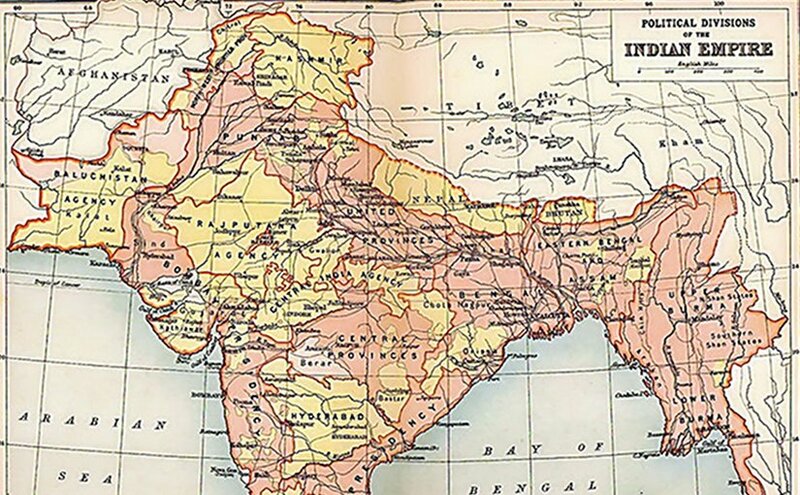 The British Indian Empire, from the 1909 edition of The Imperial Gazetteer of India. Areas directly governed by the British are shaded pink. *Shelley Kasli, Founder & Editor of GreatGameIndia, India’s only quarterly journal on Geopolitics and International Affairs. This article is crap. But I guess I’m not surprised to see all this 100 year old talk about colonial Britain in an article written by an Indian, since Indians are rather obsessive about it all. You completely miss the real dynamics of the modern day Middle East. At least change the title to ‘analysis of historical British foreign policy’. BTW, Syria was a mandate of France. The British ones (like Qatar, Kuwait and the UAE) are the richest ones in the ME. Qatar is the paradise of the region, highest GDP per capita PPP in the world! You should visit sometime, you’ll like it. Top 11 richest nations in the world (by GDP per capita PPP) have 7 former British colonies / protectorates in it. They aren’t the real evil here. Look at Ex-Soviet nations. They’re dumps. Russia needs to stop thinking it’s top dog in ME. Nobody in the ME wants them except for the radical right wing in Iran (that is slowly dying from old age) and the crazy lunatic Assad. Pakistan was made independent because it wanted to be independent. Most WW2 “Indian” soldiers were muslim, they fought for their independence. Learn to live with it. Also nobody wants to hear about India when the story is suppose to be about the conflict occuring in the Islamic world; ME and Syria. Like I said change the subject title. S. Kasli’s analysis, while not written in perfect English, is remarkable accurate and highly worth a reader’s time to understand its implications. What Kasli does not include is important: it is the Washington neo-Cons’ role in the ongoing destruction of Syria and the fact that the DC neo-Cons are all dual-citizenship (Israel/US) people embedded within the Deep State of the US government, and far more interested in Israel’s goals than in those of American citizens generally, who are mostly ignorant of where all these US foreign policy disasters in the Middle East are coming from. To this moment, few Americans are aware that al-Assad antagonized S. Arabia, Qatar, and the Gulf Sunni monarchies, by refusing to allow their pipeline to run from Qatar (largest nat. 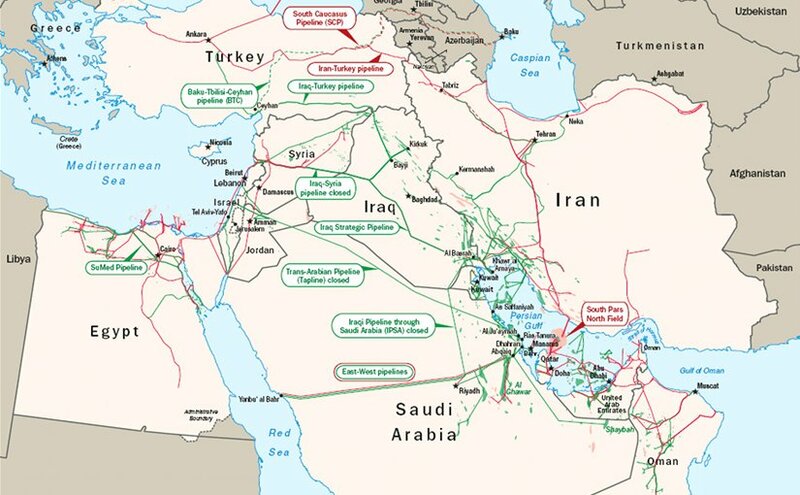 gas field in the world) through Syria to Europe. It really is all about oil and the control of the world’s energy resources. It is the new Great Game. It is the reason the US/NATO has been bogged down in Afghanistan for 13 years (Google the TAPI, which runs from Turkmenistan to Kandahar, to Quetta, to serve SE Asia). The neo-Con plan, led by Asst. Sec. of State V. Nuland and US Amb. Geoff Pyatt, installed the US puppet Poroshenko in Kiev; CIA Dir. Brennan went to Kiev in April 2014 to launch Kiev’s attack on the Eastern provinces, Russia is now the target of a new Cold War (approved in the summer of 2015 overwhelmingly in the House of Representatives) with Russia as its target. This whole plan of action is laid out in Z. Brzezinski’s book, “The Grand Chessboard” which anyone with a little intellectual curiosity can read. Meanwhile, NATO (an arm of the US DOD) is busily provoking Russia by selling weapons to Poland, the Baltics, and Scandinavia, and holding highly provocative military exercises right on Russia’s borders. As Russia showed in its Syrian intervention, it has rebuilt its military effectively, and Putin has announced seriously that Russia will defend itself. The US in its regular arrogance is courting WWIII, which the neo-Cons who are all hardliners from the first Cold War, still think the US could “win.” June 4’s Axis of Logic carried a warning from Russian living/working in the US as to the extreme danger to the world of neo-Con policies, which will not be affected by whoever wins the 2016 election because the neo-Cons are not in elective positions. This writer is correct, Britain left a huge mess behind it at the end of WWII; it is now just as dangerous allied to the US and acting as its “lap-dog.” Why Chancellor Merkel, who knows better, is tolerating US neo-Con policies is a major question only she can answer, but the continued provocations of Russia will lead to disaster, especially the recent deployment of the ABM “missile-shield” aimed at Moscow. It is not defensive. It is offensive and V. Putin understands this well. Those who don’t understand are the Americans who will die in a nuclear war.